#Description#Fi- Chlor Premiun 5 granules is specially formulated to out-perform standard chlorine granules, rapidly disinfecting water to kill potentially harmful bacteria and other organisms. It contais an algicide to tackle the problem of green water and a clarifyer to keep your water crystal clear. 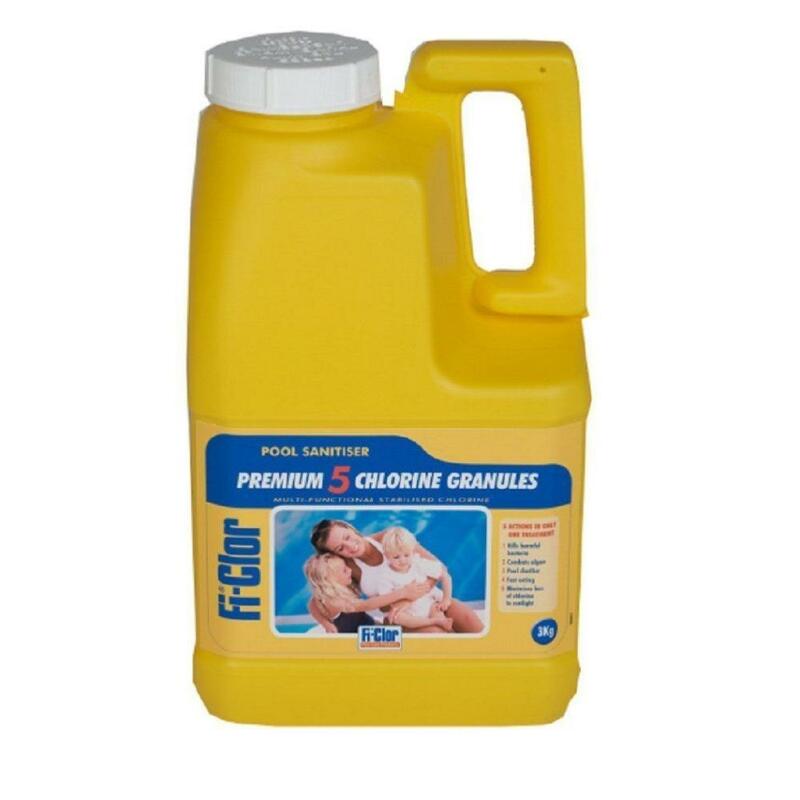 Water balance is easier to control as the granules have little effect on pH and the product is stabilised to combat wasteful loss of sanitiser to sunlight, making it ideal for use in outdoor pools.